Surpassing the usual eggspectation for breakfast, there are a few restaurants serving tempting options sans bacon and eggs. Traditional favorites like pancakes, scrambles and omelets are being reinvented, becoming more healthy while still satisfying your breakfast cravings. Rye has been lauded as one of the best new restaurants in the area for Chef Tommy Nguyen’s decadent dishes like waffles topped with pork belly and egg. 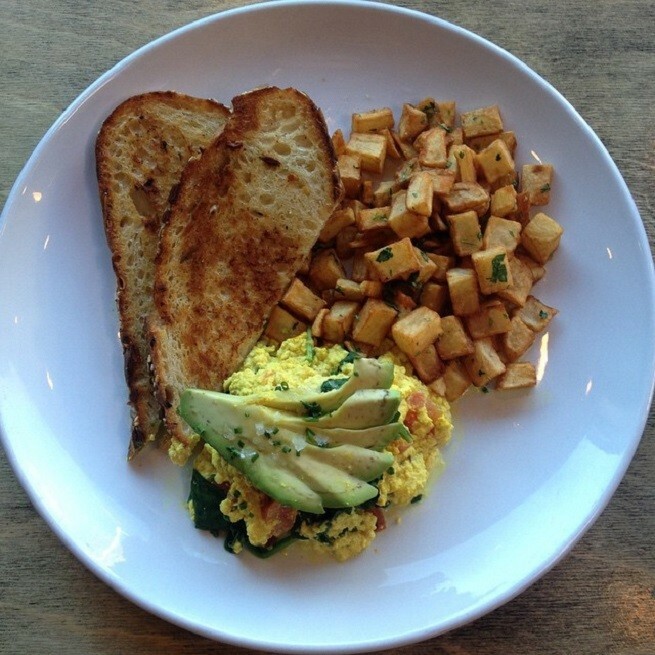 Next time you stop by, order something different like the Tofu with Tomato and Avocado Scramble. Flavorful and substantial, the tofu scramble is top-notch. A side of the house potatoes - perfectly crisp little tiny squares of heaven - make this a splendid breakfast. Toast made from good bread served with homemade marmalade rounds out the meal. Rye also offers a Vegan Hash featuring tempeh and wholesome Coconut Quinoa, all for under $9.00. They get extra points for opening at 8:00 AM on weekend mornings and serving great coffee, to boot. If you don’t mind battling the brunch crowd a few hours later, you can also sample the cocktail menu. Rye is located right next to the Urban Lounge at 239 South and 500 East. The award for Most Innovative Vegan Breakfast goes to Chabaar. 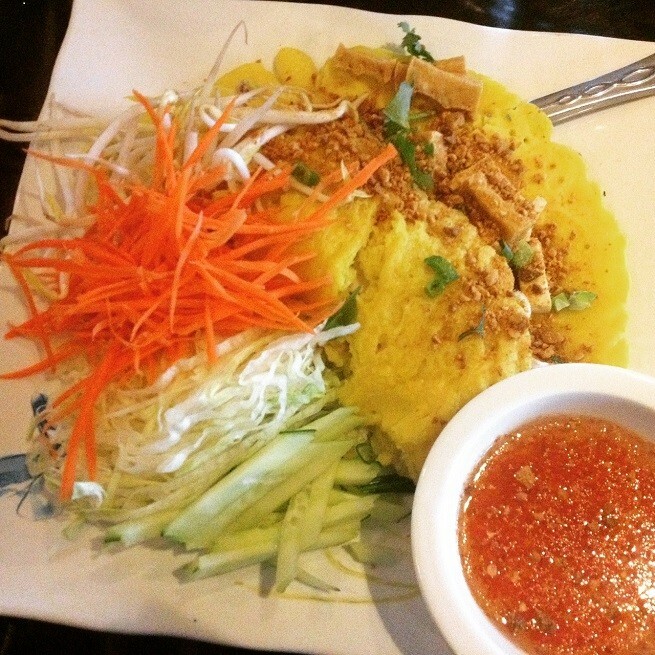 The Vegan Thai Omelet is a delicate crepe made from rice flour and served in the style of Pad Thai, with chopped lettuce, crisp cucumber, sliced carrot, bean sprouts with cubes of tofu and a generous sprinkling of peanuts. Sweet chili sauce is a nice addition, but be sure to add some hot sauce for the full experience. Chabaar also serves Vegan Joke, a traditional Thai breakfast of rice with tofu, veggies, ginger and cilantro. Skip the coffee and peruse the multitude of options on the tea menu like the toasted almond tea. Chabaar opens at 7:00 AM on Saturdays and 8:00 AM on Sundays. Located at 87 West and 7200 South in Midvale, Chabaar is the best bet for vegan breakfast outside Salt Lake City. 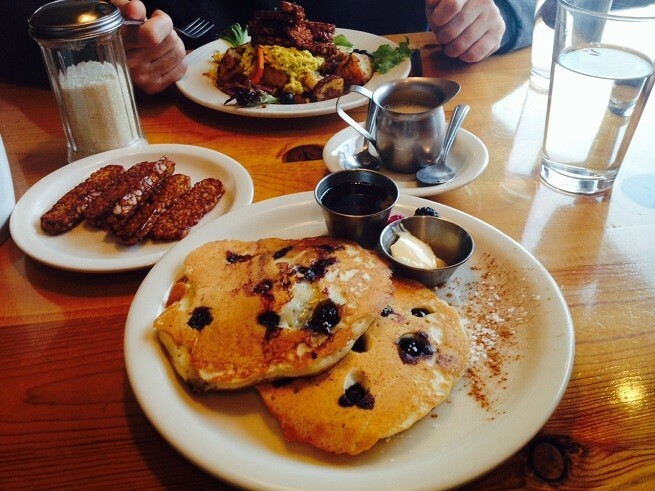 Of course, this couldn't be an article about vegan breakfast in Utah without mentioning Sage’s Cafe & Jade Room. A popular vegan destination for omnivores and vegetarians alike, Sage’s is famous for their pancakes and other innovative, delectable dishes. Blueberry pancakes are a must: fluffy, moist, and studded with blueberries that explode in the mouth with each bite, served with real maple syrup and Earth Balance (as close as you can get to butter without the cow). A side of savory and sweet tempeh bacon is a good pairing and adds a nice crunch. Vegan breakfast options abound and they have great coffee. Open at 9:00 am on weekends, Sage’s is located at 234 West 900 South in Salt Lake City. So, get out of your shell and beyond the egg carton this weekend and dig into something new! Have a favorite vegan breakfast dish we didn't mention? Let us know with a comment.